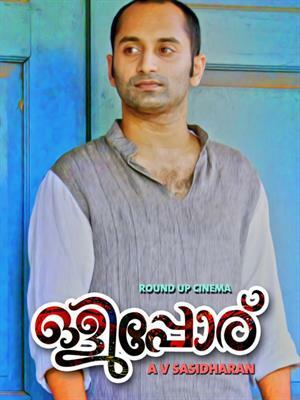 Fahad Fazil, the new generation Malayalam film icon, has promising projects coming in the second half of 2013. The actor started 2013 with a big bang with his films like 'Annayum Rasoolum', 'Amen', 'Immanuel', 'Natholi Oru Cheriya Meenalle' and '5 Sundarikal' winning the hearts of both viewers and critics. Fazhad's movies have always been a good subject for critics to debate about. There is something fresh in every movie he commits. Talented and established directors of the M-town are waiting for this new star. There is a buzz that famous Tamil director Gauthom Menon is going to debut in Malayalam movies with a Fahad Fazil movie. After the overwhelming success of his recent films, the actor is flooded with fresh and tempting offers. But he is very particular about doing films which he feels are good. 'Artist' is directed and scripted by the veteran director Shyamaprasad. It paints the journey of new generation has to go through under adverse conditions. 'Artist' goes through the emotional and physical upheavals of two aspiring artists-Michael and Gayatri. They are classmates at the Fine Arts College and share similar dreams and aspirations. With a sole aim to become world famous painting artists, both starts to live together. The events followed by their living forces Gayatri to realize that their dream is far away from reality. The personal tragedy Michael later faces deepens the wound. When Fahad is playing the role of Michael it is Ann Augustine appearing as Gayathri in the movie. The Best Film Actor 2012 is very ambitious about this project that the actor has a very good platform to perform in this movie. Blessed with the association of Shaymaprasad, the movie will be another memorable flick form Fahad Fazil. The shooting of the movie is now over and will be released soon. Krishnachandran and Vanitha are playing other key roles in the movie along with some theater artists. 'Artist' is produced under the banner of Sunitha Productions by M. Mani. Cinematography is by Shyam Dutt. This untitled movie of Sathyan Anthikkad is about relationships. This new movie is won't be marked by Sathyan Anthikkad's usual touch as the director is taking us to the city ambience through the story of a young man. Fahad Fazil dons this character. He is influenced by lot of people and the effect of a new face- a girl, in his life is portrayed in this movie. Famous South Indian actress Amala Paul is back into Mollywood being Fahad's love interest in this project. This yet to be titled movie is also a youth oriented movie. Iqbal Kuttippuam has penned the script and is being produced by Central Pictures. The shooting of this new movie will start soon. Sathyan Anthikkad has been keeping a low profile in his latest movies and this new project with in-demand actor Fahad will be a breakthrough for the director. Directed by debutant Shaheed Arafat, 'Cartoon' is the story of two egoists and their conflicts. The theme of this movie is 'moral policing'. Set in the luxurious life of Kochi it revolves around the life of a cartoonist- Sachidanandan, and an ambulance driver-Alvin. The conflicts between these egoists becomes the subject of 'Cartoon'. The movie is penned by Lazer Shine and Ratheesh Ravi, and the movie will be produced by Haneef Muhammed under the banner of Red Rose Creations. Cinematography is by Shyju Khalid. Mammootty and Fahad Fazil are coming again after their successful movie 'Imanuel'. This time it is young high profile director Ashiq Abu who is taking initiative for this get together. Fahad's earlier work '22 Female Kottayam' with Ashiq Abu was a super hit film which introduced a new theme in Malayalam. Meera Jasmine is casted as the heroine in the movie. It is written by Ahmed Siddiqu. 'Gangaster' tells the story of underworld with Mammootty playing the role of a don. The project was announced well before Ashiq Abu's 'Da Thadiya', but it got delayed and will start rolling soon. 'North 24 Kaatham' is written and directed by Anil Radhakrishnan Menon, another debutant director. Telugu actress Swati Reddy is pairing with Fahad Fazil again after the duo's superhit film 'Amen'. The story of 'North 24 Kaatham' revolves around a journey, but it is not a travel movie. 'D Company' is an anthology featuring five action movies. 'D Company' has five famous directors in Malayalam joining together - Joshy, Shaji Kailas, M.Padmakumar, Diphan and Vinod Vijayan. Fahad Fazil is doing was reported to do Vinod Vijay's Diya. Mohanlal, Prithviraj, Jayasurya, Asif Ali and Anoope Menon are the other actors in the anthology. The shooting of Fahad's 'Diya' is not started yet. 'Diya' is written by the director himself. Fahad Fazil appears in double role in debutant director A V Sasidharan. 'Olipporu' is about few youngsters active in blogs and social networking sites under different pet names. They are on their way to conduct an exclusive show in Bangalore. But the main coordinator of the program- Olipporali, fails to come and rest of the group falls in to great dilemma. It is at this moment they realize that they know very little about Olipporali. 'Olipporu' is penned by Gopikrishnan and is being produced by Shaike Afsal, Sudheer,Sunill Karyattukara under the banner of Round up Cinema. Other main actors in the move are Kalabhavan Mani, Talaivasal Vijay, Sidharth Bharathan, and Zareena Wahab. Subiksha is the heroine in the movie. The shooting of 'Oliporu' is under progress. If the reports are true, Guthom Menon is on his way to debut in Malayalam films. Fahad will be the lead actor in the movie. 'Thamaraserry to Thailand', 'Iyer in Pakistan' etc are other upcoming new films of Fahad Fazil.